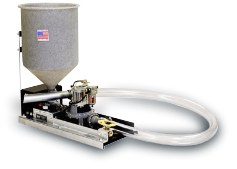 Cementitious Grout Pumps- Pumps non shrink sand based cementitious grouts. Heavy Duty- Built for durability and long lasting performance. Hand Operated or Air Operated- Perfect for every grouting application. Low Pressure- 15 psi max.- Ideal anywhere high pressure is not required. In Stock / Ready to Ship UPS. Our model GP-2 Grout Pump is Kenrich’s most popular Heavy Duty grout pump. 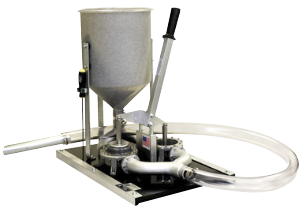 Hand operated, single diaphragm, large 4.6-gallon hopper, built to last. 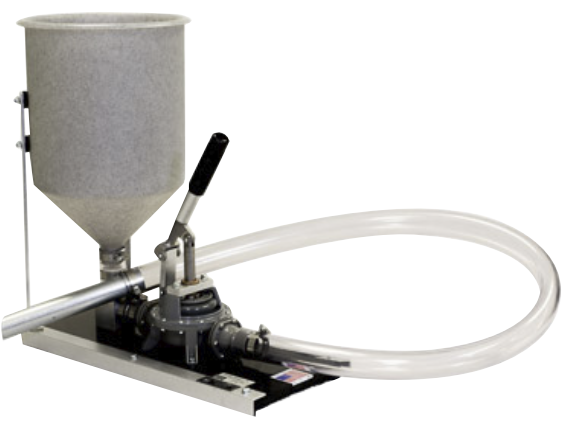 For more information on our full line of Kenrich Products, go to Heavy Duty Grout Pumps. 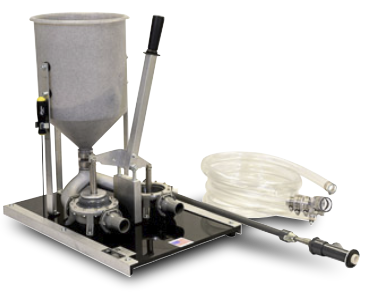 Call us today at (503) 281-6190 or email us at info@kenrichproducts.com, to order a heavy duty Kenrich grout pump or discuss your grout placement needs.